Tanabata; (meaning "Evening of the seventh") is a Japanese star festival. It celebrates the meeting of the deities Orihime and Hikoboshi. According to legend, the Milky way separates these lovers, and they are allowed to meet only once a year, on July 7th. Between July 1st and August 15th, there is a Tanabata decorations at Kibune shrine. And it is light-up after sunset until 20:00. It is free to enter. Also on July 8th (mon), "Kibune Shrine water festival" will be held. Starts at 8:00 and finish at 12:00, it is better to visit early in the morning. It is free of charge, unless you join the tea ceremony, it costs you 3,000 yen. Access: from Kyoto sta. 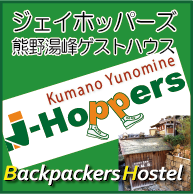 catch 'Kyoto Bus' and get off at 'Kibune Jinja Mae (in front of Kibune shrine). It takes about 1 hour ride. Summer is here! Get ready for Gion Festival!